The original name of this video is “SDN controller DEMO”. I think the “demo” word there is a bit inappropriate used, as actually is more like a Cisco marketing video than demo. 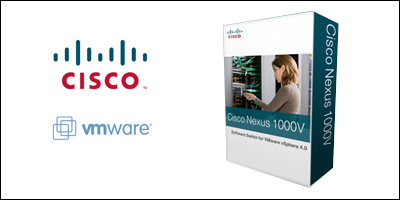 Don’t be so surprised, you know how Cisco promote their products. Just my 2 cents about the SDN/OpenFlow trend that is coming up these days. I don’t mind innovation, I’m glad if and when I can get in contact with new technologies, but what disturb me is that in a lot of presentations that I’ve seen until now, SDN is presented like the magic wand that does everything with point and click. No knowledge needed, no network understanding, no effort to see where or how the packets travel through network, you just have to point and click, slice the network however you want, plug the toy and you’re ready to go. If this is all true, then someone please explain to me with I’m busting my…head to learn and really understand what’s actually going on in the network. I really hope this kind of presentations implies that this is a new product that needs to be promoted and if they make it sound too complex, nobody will buy it. Shortly, you take this piece of software, install it on a x86 machine (any decent PC with quality network card will do) and have yourself a network device capable to support dynamic routing protocol, policy routing, QoS and many more features. The best part (at least for guys like me) is that Vyatta is offering a free package that you can download on their website. This free version is without the commercial support, but you can find plenty support in the Vyatta community. mainly because I was bored and wanted to try something new, but still related to Cisco. I arrived to the conclusion that I should test how Cisco can interact with 3rd party devices. I choose Vyatta as 3rd party device, because it is a turn key network solution. Of course, you can take all the included software in Vyatta and build your own box based on whatever Linux distribution you want, but why to do this if you have a free solution which already works? I plan to test more about Vyatta and Cisco integration, but for today, I want show you how to install Vyatta and connect it with GNS3. First you need to download the image from Vyatta and build yourself a working box. 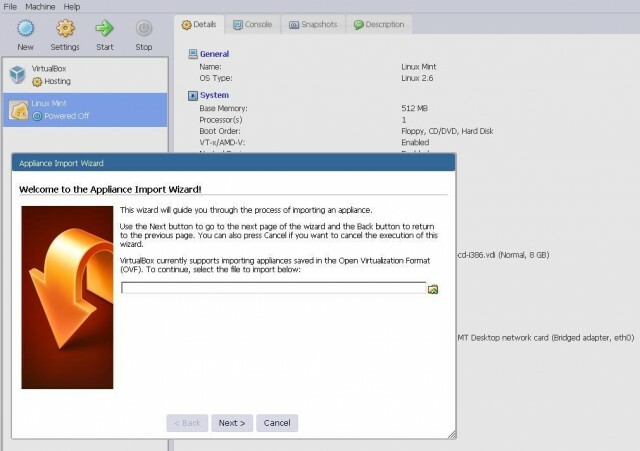 You can download the Live CD image which allow you to boot from it and then install, or an image for your virtualization system (VMware of Citrix). Minimum settings are Memory 512MB and Storage 2GB. The rest of the settings are optional, but if you would like to test some network stuff, then I recommend at leas 1 Network Adapter. I have 2 in this image, because one will be connected to the virtual network cloud (tap0 inteface) and the other one to the physical network, so I can access remotely this system. 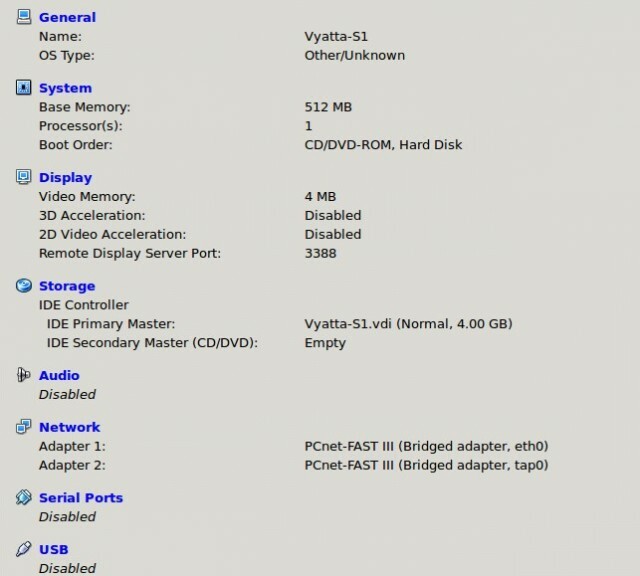 Download your copy of Vyatta, add the ISO image to the IDE Secondary Master (CD/DVD) and boot your virtual machine. It should read the image and boot until to arrive to a Linux style prompt that ask for username and password (vyatta / vyatta by default). – Image-based install. The simplest, most flexible, and most powerful way to install a Vyatta system is using a binary system image. With this method, you can install multiple versions of the Vyatta system as images and switch between the images simply and easily. You install the image from a LiveCD, reboot your system and it runs the image. – Disk-based install. 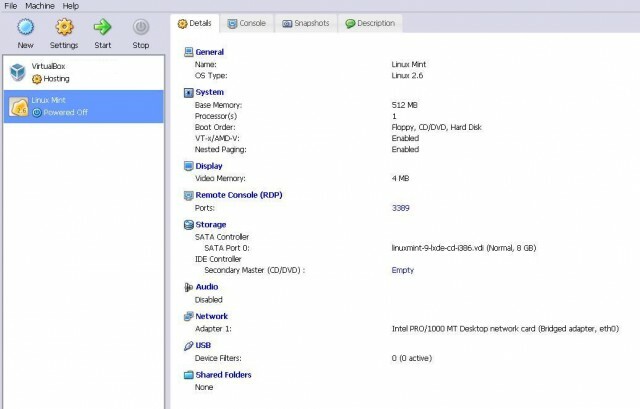 Installation from a LiveCD onto a persistent device such as a hard disk partition. However, unlike an image-based install, a disk-based install uses a traditional layout of files on the disk. Additional system images may be added at a later time to a system created using a disk-based install. To be honest, in the test environment, it doesn’t make much of a difference if you use the image or system installation. I used image as it’s the simplest one, as Vyatta recommend. 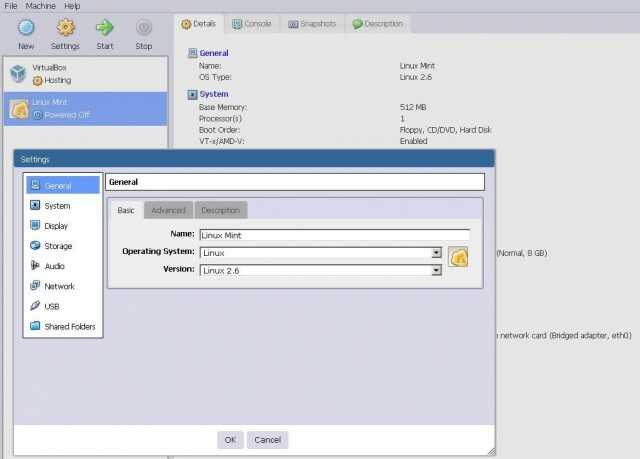 If you don’t know how to achieve the connection above in GNS3, please read this tutorial about connection of GNS3 to VirtualBox Machines. I that post I used an Ubuntu system, instead of Vyatta, but the principle is the same. If you work more with Cisco, like I do, then you’ll find the configuration mode a little bit different that Cisco’s standard IOS CLI. If you work with Juniper, than this might look familliar as the configuration commands and the config files look pretty much like the Juniper ones. By default no remote access is enabled, so you’ll have to access this device over console. In VirtualBox case, you’ll have a tab there with Console. If you access it, you’ll be able to login to Vyatta system and configure it. Please ignore the user “yotis”. This is not in the default config, but I have changed something there to secure my Vyatta installation. Now you know how the config look. 4.c) Configure the external interface (the one bridged to your physical network). And then ethernet, interface name, address keyword and the IP address. In the middle of a command keyword, if you press TAB key it will autocomplete the word, exactly like in Cisco CLI. It’s preety simple. If you get stuck somewhere, get back to documentation or ask in the comments here. Almost done. You have configured Vyatta basic network system. Now configure the Cisco router in GNS3. I believe you know how to do that. PING 10.86.0.2 (10.86.0.2) 56(84) bytes of data. This is it for today. In next posts I will go a little bit deeper in the Vyatta configuration and establish some IGP and BGP connection to see how Cisco behave under different scenarios. A while ago, I wrote an article about How to integrate GNS3 with VirtualBox in which I have shown how you can easily create a guest machine with its own Operating System and attach it with GNS3. 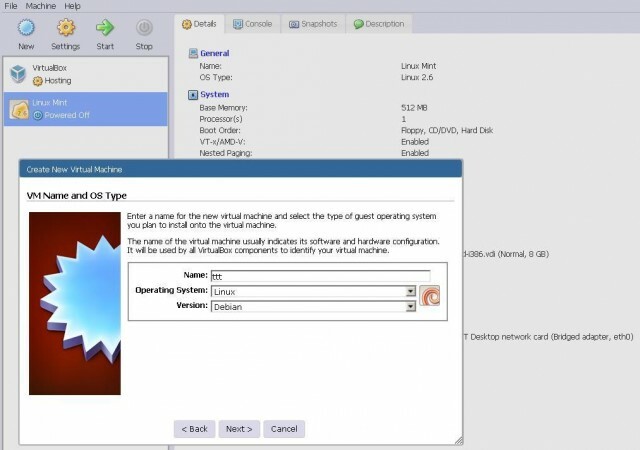 Everything is working fine when you have the system in front of you, and if you have a graphical interface, but what if you have a powerful server somewhere and you want to use it for virtualization with VirtualBox? Of course, you can use CLI to manage VirtualBox, create new machines, tune settings and so on, but it’s more likely to you would like to see something graphic and use the point and click method to achieve results. One of the differences between VMware and VirtualBox, is that VMware is including a Web Interface for remote management and VirtualBox is, in fact, a desktop application. This keep me for using sometimes VMware instead of VirtualBox on remote machines. As you probably observed I’m not a big fan of VMware due to the fact the it’s integration with Ubuntu (my favourite Linux flavour) is not running all the time as expected. For example, in case of a kernel upgrade you’ll have to patch again the source to obtain working VMware modules. Almost like the VirtualBox application on your desktop. Installation is very simple and you can do it following the steps below (for Ubuntu 9.10). As any web interface, phpVirtualBox require some mandatory software to be installed on your machine. In this case is Apache + PHP >= 5.2.0. I assume that you have them already installed. If not, please check this tutorial. 4.phpVirtualBox requires you to start vboxwebsrv (a program distributed with VirtualBox). Now you should be able to access phpVirtualBox using your customized URL in web browser. Below you have some screen shots, just to get an idea about this excellent piece of software. The rest I’ll let you discover by your own. New XenServer (Midnight Ride beta) is here! Citrix launched today the new XenServer with code name Midnight Ride. This version is still a beta one and Citrix decided to make it available for download and testing through it’s Beta Program. As a participant in the Beta Program, you’ll play a critical role in helping the XenServer product team develop and deliver the next edition of the product and provide valuable insight for enhancements in future releases. You can also evaluate the advanced management capabilities in Essentials for XenServer by downloading the Evaluation Virtual Appliance to enable Dynamic Workload Balancing, Provisioning Services and StorageLink in a single, pre-configured environment and utilize all the added features include in Essentials for XenServer, Enterprise Edition. Posted on March 18, 2010 Categories VirtualizationTags Business continuity, Business Services, citrix, Consulting, Emergency management, Infrastructure, midnight ride, virtualization, webcast, xen, xenserver1 Comment on New XenServer (Midnight Ride beta) is here!